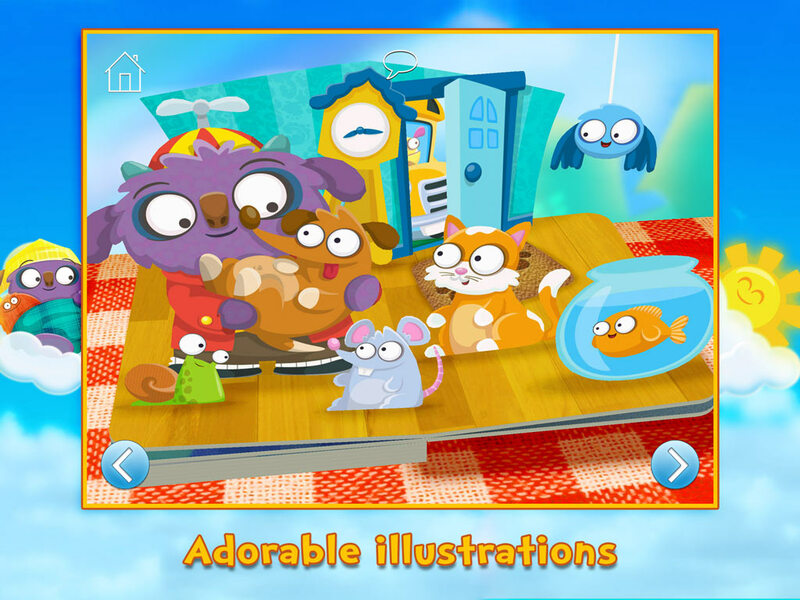 An adorable morning routine app. Download Wake Up Mo Now! 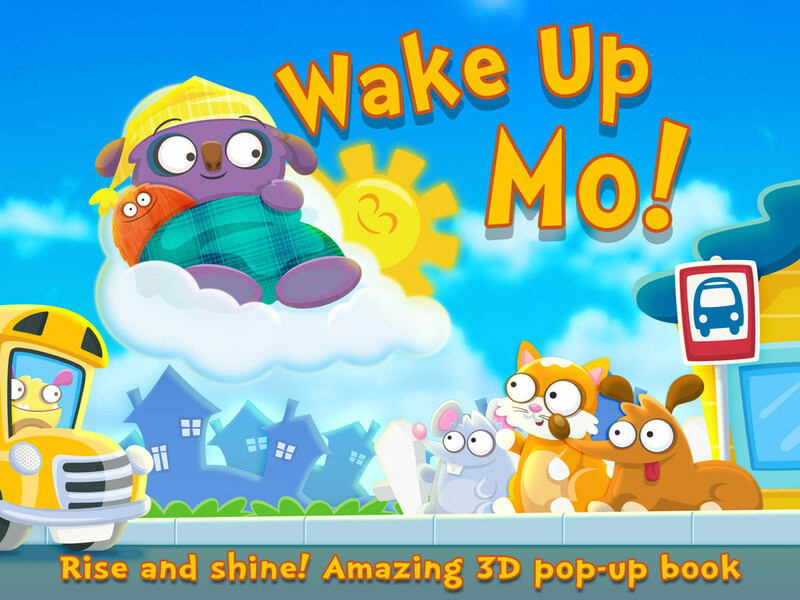 Wake Up Mo!, a morning routine app for tablets and mobile phones, is the follow-up to the best-selling bedtime app Goodnight Mo (#1 in US and 40 other countries worldwide). 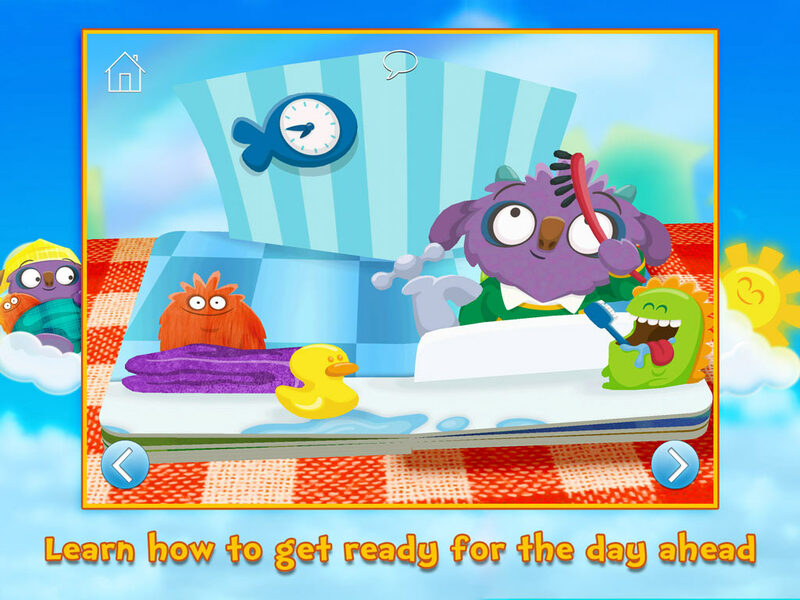 As the sun rises and a new day begins, Mo, a cute little monster, gets ready for school. 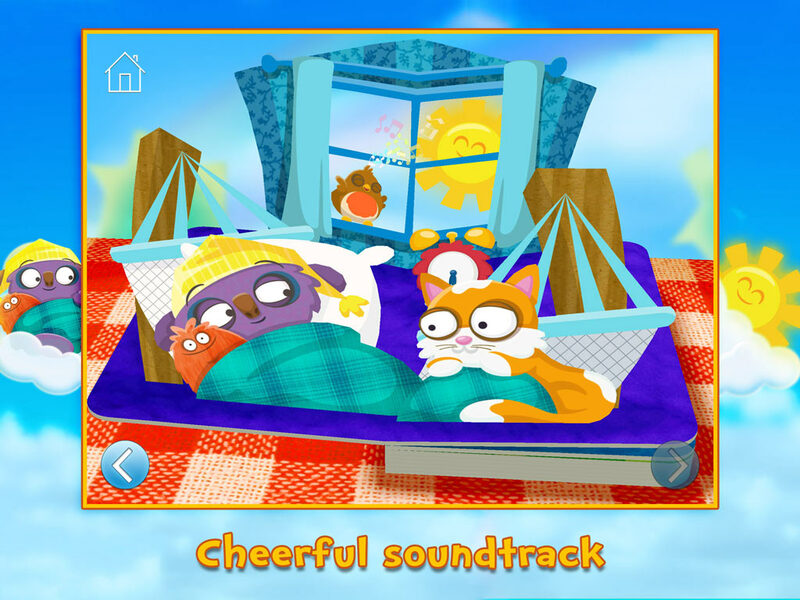 Beautiful imagery, gently rhyming narration, and a cheerful soundtrack make this the perfect way for little ones to learn how to get ready for the day ahead. Wake Up Mo! helps young children build a routine by completing tasks in the same order each morning, such as eating breakfast, getting dressed, brushing teeth and packing a bag. 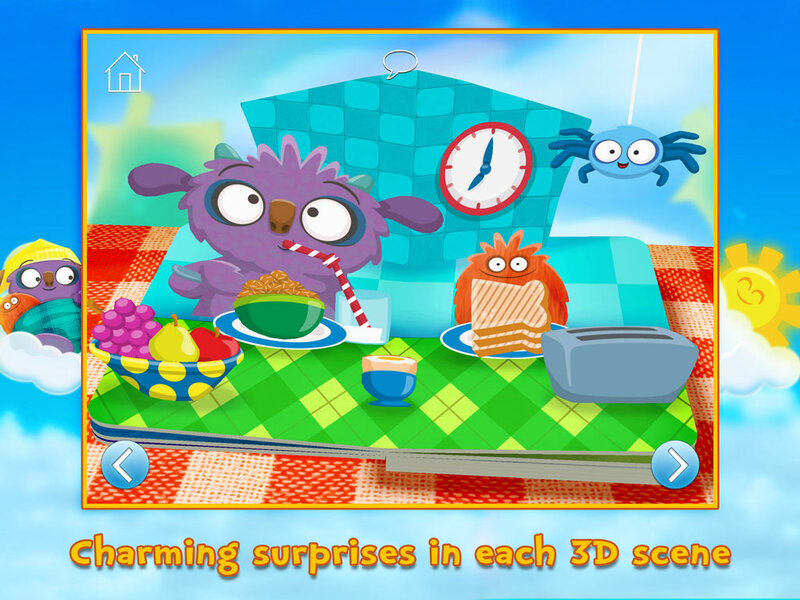 It’s fun too: little ones will discover charming surprises in each of the 3D pop-up scenes: whether waking up Mo and the other animals, helping Mo get dressed, catapulting toast onto Teddy’s plate, or brushing messy ‘morning hair’.